Dr.Sandhya Balasubramanyan: Rhinoplasty – For All Who Expect More…! Rhinoplasty – For All Who Expect More…! “My nose is long and flabby at the end…” “Whenever I smile, my nose looks wide and ugly…” “I’ve got my nose distorted in an injury, and now I suffer from breathing problems everyday…” – these complaints are common. It’s a fact that half a million people are unhappy with the nose with which they were born, and are living with such worries… Rhinoplasty is the best solution for all such people – it is not just a procedure with complex series of steps, and it is not as bad as you may think! Here we are gonna review various aspects and possibilities of Rhinoplasty, which may help people who wish to, enhance the appearance of their nose. 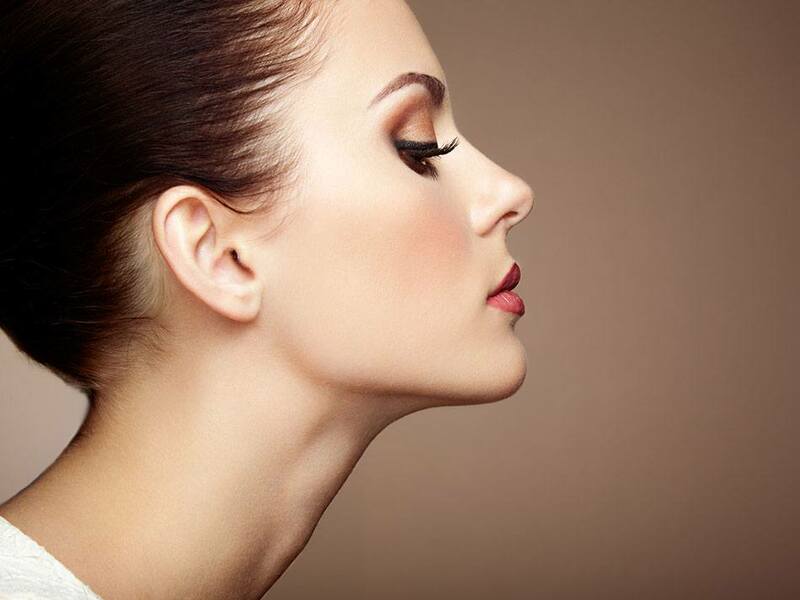 Rhinoplasty is one of the most popular cosmetic procedures available today to reshape the nose. It involves making the nose larger or smaller, changing the symmetry or angle of the nose with respect to the upper lip, altering the nose tip, correcting the bumps, indentations, or other defects in the nose, to bring it into better proportion with the rest of your face. Rhinoplasty may also restore structural problems with the nose that cause chronic congestion and breathing problems. Rhinoplasty are generally carried out by surgeons who are trained either in plastic surgery, otolaryngology (ear, nose, and throat specialty), or both. During rhinoplasty, your surgeon will first access the bone and the cartilage support of the nose through smaller external incision made at the base of your nose, between your nostrils. Followed by this, the underlying bone and cartilage is readjusted to create a newly framed structure. For example, if you are dejected with the tip of the nose which is too large, your surgeon will sculpt the cartilage in this particular area, as a means to reduce its size. In case, if you feel that some portion of your nose is disproportionately small, cartilage or soft tissue grafts can be placed in order to create a more pleasing profile. Now, if the issue is that the bridge of the nose has a prominence, your surgeon will reduce this to yield better harmony. The angles of the nose in regard to the upper lip or the forehead can also be remolded by further sculpting the nasal support structure. Next, the tissues are re-draped over the new frame and the incisions are closed. A small splint is then placed outside the nose to help maintain the new shape of the nose, as it heals. All rhinoplasty techniques are different – so, recovering time varies from patient to patient, somewhat depending on how much your nose is altered during surgery. However, here are few things, which you can expect during your recovery stage. In the first week of rhinoplasty, it’s very common to have swelling and bruising around eyes and nose, sore throat, headaches, and nausea. Cold compresses and over-the-counter pain relievers will be recommended to help you abate these symptoms. Keeping your head elevated can also help to minimize swelling. While it’s crucial that you follow your surgeon’s post operative instructions, ensure that you take your antibiotics religiously. It’s still important that you should watch for any signs of infection, including worsening pain, redness, swelling, fever, red streaks or pus. If any such concerns occur, report immediately to your surgeon. Avoid any activities that would increase the risk of injury (For example, heavy lifting, excessive exertion, sun exposure etc.). It is indispensable to make sure that you don’t blow your nose and avoid any impact to the nose while the structures are healing. If you are a person who wears glasses, you must be very careful not to exert excess pressure on the nose bridge. Majority of the patients can return to work during the second week of recovery, as long as you do not work on any strenuous activities. At this time, gentle washing of the face can be resumed and a little makeup can be applied, as well (of course, that’s your choice!). By week three, you can recognize the new changes and start appreciating the brand new shape of your nose! Even though rhinoplasty surgery is a minor surgery, there are complications, risks and recovery time to consider, as with any surgery. However, with proper analysis, combined with the skills of a qualified surgeon, rhinoplasty will become a very rewarding procedure for all.